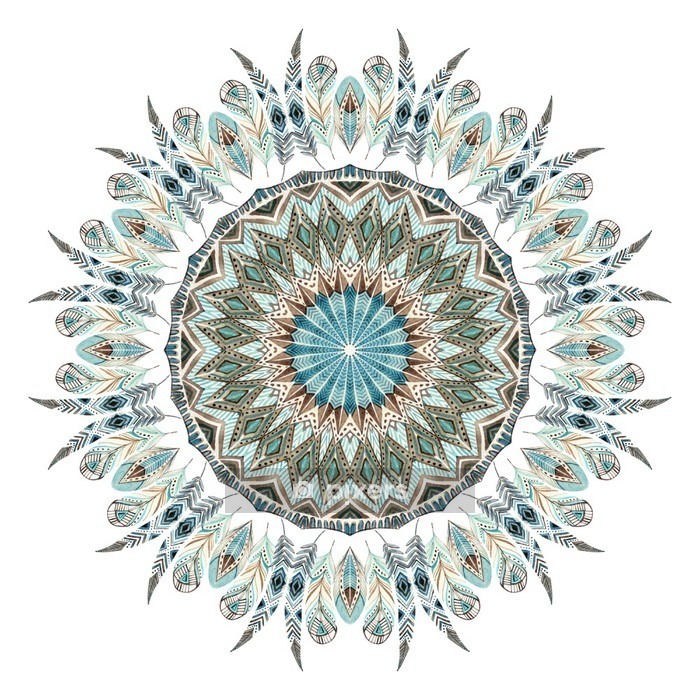 Watercolor ethnic feathers abstract mandala. Do you want to give your interiors a new look? Take advantage of a simple and fast solution! An interesting shape, selected color, and intriguing motif – choose a decal to enhance any room, while using it in your kid’s room will give you a thrill of excitement starting from the moment you apply it to the wall. Custom-made to specifically match your wall, it will be the perfect element of an individual space. Durable, matte material is moisture-, tear-, and crease-resistant, so you can easily apply it to walls in any room. Use a contour-cut decal to create a one of a kind wall! Single sheet maximum width: 37 in (94 cm), cut along the outline with a white (non-transparent) margin of up to 0.2 in (5 mm). If dimensions exceed the maximum sheet width, the print will be made up of several equal size sheets. No, it's not. Big surfaces are divided into smaller equal fragments (sheets). If you want it to be divided differently, include a note in the order comment or write to us at: contact@pixers.co.nz. This kind of foil is dedicated for window and glass stickers. The colors are semi-transparent and the color white is fully transparent.